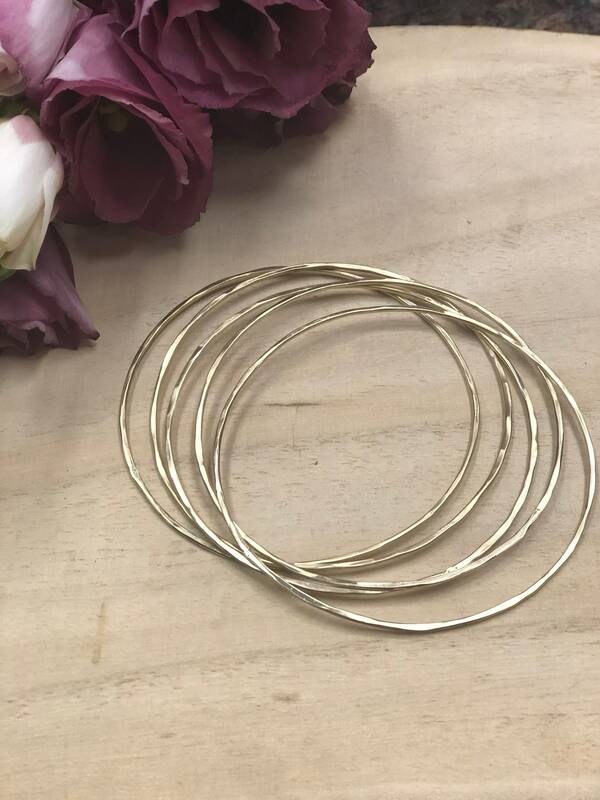 Light as a feather slim bangles give off a glimmer as they adorn your wrist. Set of 5. Available in Gold Plated brass or sterling silver. Really lovely. I’m considering purchasing a second set.